Sunday Hunting: How Will Pennsylvania's Duel Play Out? 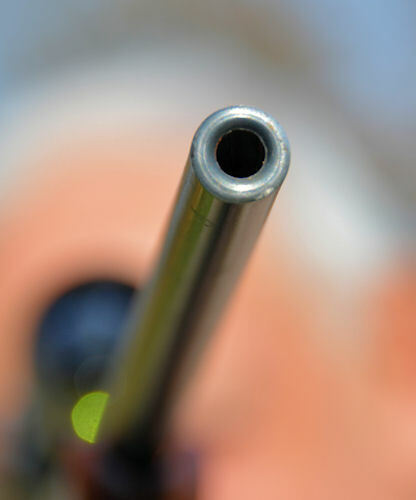 'Big guns' take aim at hikers and landowner rights – Pennsylvania Farm Bureau, more pointedly. Pennsylvania lawmakers have swatted down legislation to allow Sunday hunting numerous times. But this fall, hunting industry lobby groups came packing heavy artillery and ammo for bear at October hearings on the latest proposal. LAND-USE RIGHTS AND SAFETY TARGETED: National "Sunday Hunting" coalitions are taking dead aim at Pennsylvania's prohibition. U.S. Sportsmen's Alliance, the Quality Deer Management Association and Congressional Sportsmen's Foundation testified in favor of Sunday hunting. Proponents of killing the ban rolled out many impressive, but highly variable revenue projections. Reworked numbers from a 2005 survey tout that additional hunting days would generate 7,500 to 8,000 new jobs, paying more than $245 million in wages, adding $765 million in economic activity and close to $57 million in state and local taxes. The pro Sunday hunting groups were backed by the Sunday Hunting Coalition. Its a group of executives with the National Shooting Sports Foundation, National Rifle Association, Congressional Sportsmen's Foundation, Archery Trade Association, Bass Pro Shops, Boone and Crockett Club, Cabela's, U.S. Sportsmen's Alliance, Wildlife Management Institute and others. That coalition also is targeting 10 other states (Connecticut, Delaware, Maine, Maryland, Massachusetts, New Jersey, North Carolina, South Carolina, Virginia and West Virginia) having such restrictions or prohibitions that, as it says, "date back to 'blue laws' enacted in the 1700s." Proponents for keeping the ban on Sunday hunting at October's House Game and Fisheries Committee hearings were easily outnumbered. Outdoor enthusiasts representing hikers, bikers, birders and campers outnumber hunters, as the Outdoor Industry Association contends. While most at-risk, these organizations left the strongest testimony to Pennsylvania Farm Bureau. And the talk, even by certain legislators, got ugly – taking aim at Pennsylvania Farm Bureau's long-standing opposition to Sunday hunting. During hearings, lawmakers on the committee called the Farm Bureau uncompromising in its position, and urged the organization to change the way it comes to group decisions. PFB stated that proponents of lifting the ban failed to make a case for how the interests of all Pennsylvanians are better served by removing the current restrictions. A substantial and growing portion of Pennsylvania citizens wish to be outdoors on Sunday enjoying a broad range of activities. "They say that one day a week should be preserved for their pleasure without the concern of encountering hunters or hearing gunfire," said PFB State Governmental Relations Director Joel Rotz. "Those Pennsylvanians are not unlike the farmer who says to the hunter: "You have six days. Can't I have one?" Farm Bureau also questioned the findings of the above noted Sunday hunting economic study. "The study doesn't take into account the impact of activities already occurring on Sundays that'll be reduced or displaced," noted Rotz. That includes hiking, biking, horseback riding, family time together in the countryside, and fall foliage viewing. Rotz also questioned how much of the expected economic impact would actually be new dollars coming into the state. The study's numbers may reflect a shift in spending rather than new dollars. Hunters may be in the woods on Sunday, for example, instead of taking their family out to lunch or to a movie. Posting "No Sunday hunting' signs won't work for landowner or farmer problems, contends Rotz. "Farmers already have unfortunate encounters with hunters who ignore posted property or unintentionally trespass on their land. "The trouble of trespass will become an even worse problem if Sunday hunting is expanded. Even if only 1% of hunters end up on the wrong side of a property line, it will mean 9,300 instances of someone violating the privacy of a landowner. Enforcement becomes even more overwhelming with an expansion of Sunday hunting," he added.